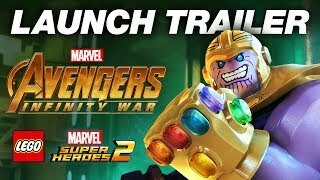 4/24/2018: The Mad Titan and the Children of Thanos have invaded Attilan to take on Black Bolt and the Inhumans in an all-new game level. 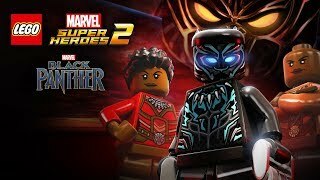 2/13/2018: Take the legendary Wakandan Super Hero and his sister Shuri on a dangerous mission within deep within their homeland. 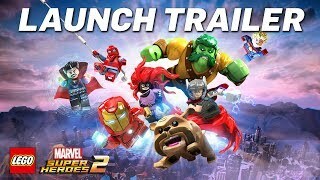 11/14/2017: To foil Kang the Conqueror's diabolical plans, an elite team of Super Heroes must band together in a cosmic battle across the Marvel Universe. 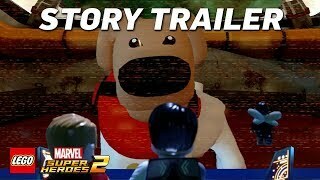 10/12/2017: Cosmo the Spacedog is tasked with alerting and assembling an elite team of Super Heroes to take on the time-traveling Super Villain, Kang the Conqueror. 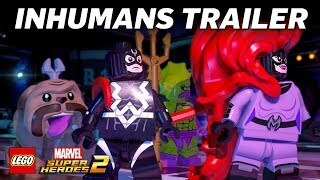 9/26/2017: The Inhuman Royal Family, including Black Bolt, Medusa, Crystal, Karnak, Gorgon, Maximus, and Lockjaw. 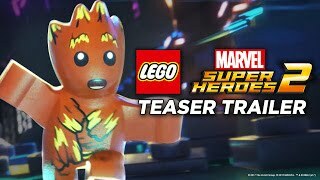 5/26/2017: The first full trailer for LEGO Marvel Super Heroes 2. 5/15/2017: Fight a cosmic battle across a myriad of Marvel locations ripped from time and space into the open hub world of Chronopolis.